Result Home Services offers free AC replacement quotes in Miami FL and surrounding areas. Our NATE certified HVAC contractors have the experience and knowledge to understand the best ways to meet your cooling needs. 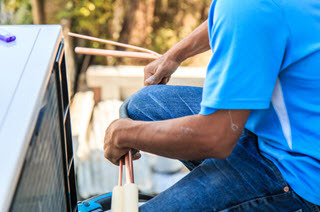 We have been in the HVAC industry for quite some time and we are known for providing trusted, reliable heating and cooling services to all of our customers. We know that replacing an air conditioning unit can feel overwhelming. Our services can help you through the process so that your home is nice and comfortable. Also, we can find a unit that is energy efficient which helps reduce cooling costs. It will improve your indoor air quality, comfort, and your home's energy use. We will find a unit that, not only does this, but that fits within your budget. Be sure to call out office today to schedule a free estimate or a free second opinion. We will gladly take the time to answer any questions that you may have and offer suggestions towards improving the comfort of your home. Air conditioning units give us relief from the heat and create a comfortable atmosphere in our homes. However, air conditioners reach their limits after a while. Like all machines, they do have a lifespan. In this article, we will discuss the signs that indicate the need to upgrade your AC. Most air conditioners in the market last up to 15 years. Some models even give you up to 20 years of reliable service. However, most of the air conditioners in the market start to show signs of age after 10 years. Now, you do not have to wait until the air conditioner completely malfunctions before you buy another one. Look around and see what is in the market while your air conditioner is still working. Do a bit of window-shopping. Compare prices and specifications so that you get excellent value for your money. 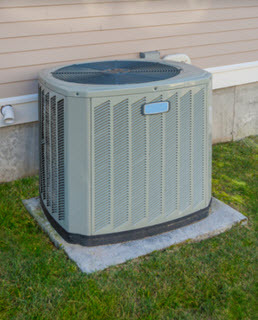 When your air conditioner malfunctions, the first line of action is to repair and not replace. This is a sensible move because the cost of replacing the air conditioner is much higher than the cost of repairing it. The problem here is that after a while, frequent repairs end up costing you lot of money. If your air conditioner breaks down frequently, the stress and the cost of frequent repair jobs is not worth it at the end of the day. At this point, the right move is to buy a brand new AC and bid farewell to all the inconvenience that the old one was giving you. even though you are using the same appliances you have always used in the past. 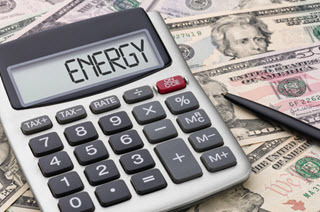 There is no logical explanation for the increase on your energy bills. The right move is to find out if your cooling system is responsible for this inexplicable increase in energy costs. Old air conditioners do not work as efficiently as new ones. In addition, old cooling units need more energy to cool your home down. Just upgrade and you will save money on energy bills. You want an air conditioner that gives you great performance all the time. However, you cannot get this with an old and outdated A/C. As your air conditioner gets older, you might notice two things. The AC will no longer cool your rooms the way it did in the past. The air conditioner might get noisy and this will affect your sleep. You do not have to cope with all this inconvenience. Buy a new AC and you will enjoy piece of mind. In some cases, you should change your air conditioner to match the load it is carrying. If there was a problem in the original load calculations, you need a new A/C to meet the needs of your home. If you added an extension to your home, this implies that you have more rooms to cool so you should start shopping for a higher grade AC. Some homeowners may like to move from the central air conditioning system to a different design. The ductless system is a smart move because you can use several mini split ACs. This gives you greater control over temperature settings for each room. In addition, you can turn off the unit if you are going out so that you do not waste energy. This is a great way to save on energy costs. Newer models are called "smart" air conditioners and they truly live up to their name. With these ACs, you can program your thermostat so that you adjust the temperature according to your specific needs. In addition, programmable thermostats can help you turn the system on or off anytime you like. These smart air conditioners are energy efficient and help you save money. Before buying any of these smart ACs, you should consult a professional HVAC expert so that you get a cooling system that is just right for you. please contact Result Home Services. We have been in business for many years and we offer professional, affordable, and knowledgeable HVAC services. To find out more about the different types of the services that we offer, just click here.